It has always been trending. Whether it was the confrontation scene between Monica and Nicole or the moment when Adrian first cheated, you could be sure you would read about it on Facebook or Twitter right after the show. Admit it. Either you are already a follower of The Legal Wife or curiosity has already gotten you to take a peak. 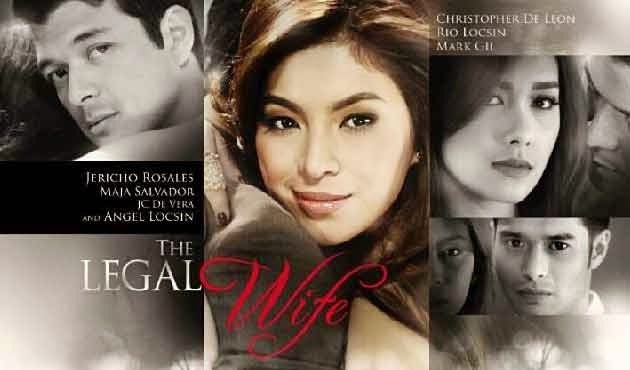 Movies or shows with love triangle/home wrecker/mistress theme are already a cliche but it is one topic Filipino viewers have an insatiable appetite for. Take a look around. This ‘cliche’ topic had been around for some time but it is more rampant now than ever. Being a mistress before was deemed unacceptable. You would either be subjected to death by stoning or be a shameful topic of gossips for the rest of your life. However, at present time, changing a partner or a spouse is just as easy as changing your Facebook status. In this generation, being a mistress is cool. It is s3xy. Winning over a married man is like a trophy. It is empowering. Or at least it is how the media is portraying it to the public. But let us take a look of the underlying cause of women fighting over a piece of man meat. Is it really the adrenaline rush or the excitement of a secret affair? Or maybe it is just two people falling in love at the wrong time? To be able to get an idea our eyes turn to another equally famous drama: My Husband’s Lover. Of course, who could deny that we were either intrigued by the theme of the show or we could also relate to the situation. You came across a gorgeous young man, successful in his career and a personality to die for. Unfortunately, he would never like you, not even in your wildest dreams. It’s not you; he is just gay. Maybe the current trend had encouraged more males to come out. Maybe people are finally becoming more open-minded. Whichever the real reason is, one fact remains true. The competition for a straight quality guy who is a long-term relationship material had become more fierce. This leads to another situation. Most women are on the cheap bargaining end. Only a few had been prudent enough to reserve themselves for the “right man” to come along. Others had been giving their all to almost every man who would take them, hoping one of them would stick permanently. Sadly, other women had even resorted to pregnancy to get the man they are targeting. This kind of mindset had abolished the sanctity of morality. Who cares if it is your best friend’s husband? You win some, you lose some. It is a dog eats dog world. In conclusion, what we see on television might actually be the reflection of what our society is going through right now. Although, we would like to deny that the Filipino’s morality had gone completely out of control and we conclude that is just liberation manifesting in our culture, this trend had been a proof that our society is damaged more than we would want to imagine. In the age of women empowerment, it is ironic that women had been derogated as prizefighters competing for the lesser quality men.